and more wonderful teachers to be announced TBA! Thinking about becoming a yoga teacher, integrating yoga into your career, or deepening your yoga studies? Join us for our Yoga Alliance certified 200 hr YTT. Deepen your knowledge under the tutelage of skillful, caring, intelligent, and experienced teachers. 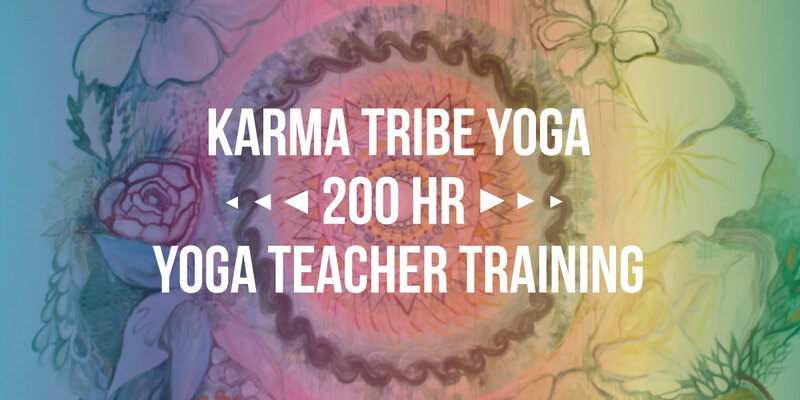 Karma Tribe Yoga is highly committed to providing high-quality yoga education to the public and trainees will learn to adopt our high standards of safety, alignment, community, and integrity. Our training is full for 2019, but applications for our 2020 training will open this summer! Want to stay in the know about upcoming KTY YTT’s? Join our mailing list! 9 Pay as you Go! 9 Month-Payment Plans Available! Lauren has a fun, challenging, intelligent, and present teaching style loved by thousands of students. 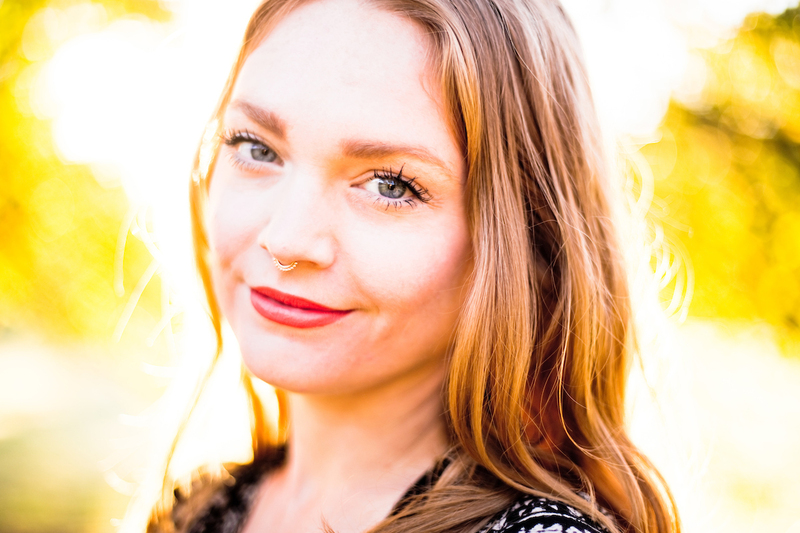 After completing her 200 hr Yoga Teacher Training in 2013 through Frog Lotus Yoga, Lauren began teaching public classes and workshops within the community of Kansas City. In 2015, Lauren founded Pop-Up Yoga KC, which creates donation-based yoga events drawing hundreds of students. Upon the success of Pop-Up Yoga KC, Lauren created Karma Tribe Yoga, Kansas City’s Premiere Non Profit and Donation-Based Yoga Studio. In 2016, Lauren was voted “Best Yoga Instructor” by Pitch Weekly Readers, taught multiple workshops, led yoga retreats in Mexico, Thailand, Greece, Guatemala, and Bali, and moved Karma Tribe Yoga to its beautiful new location in Midtown, Kansas City. 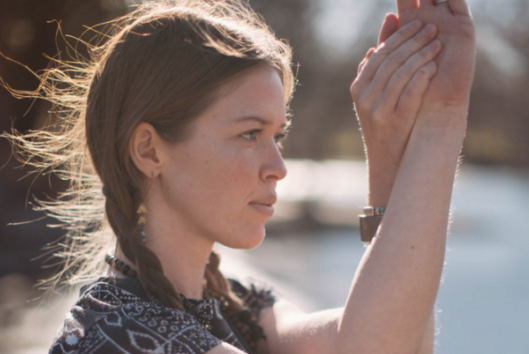 Recently, Lauren earned a certification in Thai Yoga Bodywork, completed the 500 hour Advanced Teacher Training through Frog Lotus Yoga, lauched the Karma Tribe Yoga 200 hr YTT, and co-dounded the first annual Heartland Yoga Festival. 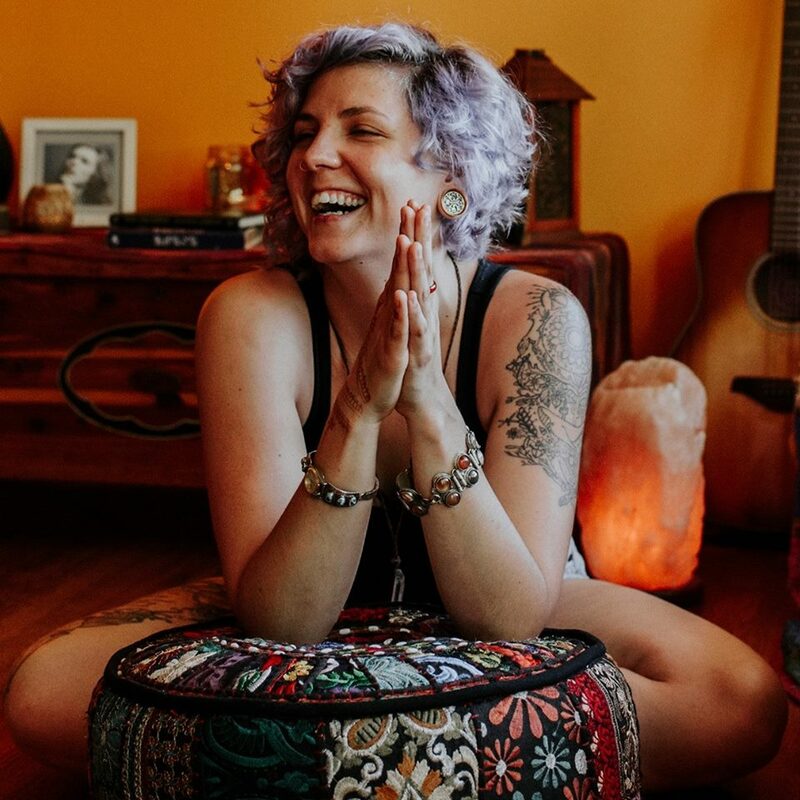 She stays connected with her students and community through her current offerings and is currently planning upcoming retreats, 2019 Karma Tribe Yoga 200 hour Yoga Teacher Training, and the 2nd Annual Heartland Yoga Festival. As someone who suffered from depression and anxiety, I spent much of my time in my late teens and early twenties trying to achieve mental health through physical activity. Whether it was lifting weights, running, or taking a fitness class, I didn’t care as long as it got my body moving. While finishing my associates in arts I decided to take yoga classes for credit, which led me onto the path of eventually becoming a teacher. With much effort over the years, as a student and teacher, I began to recognize that yoga was much more than physical work. It was a practice in connecting body and mind, eventually leading to deeper efforts such as meditation. On this search to discover the true nature of the Self, I learned that yoga wasn’t something to “be done” but rather a lifestyle to “be lived”. Through my studies and in depth training at the Shoshoni Yoga Ashram in Rollinsville, Colorado, I gained the ability to make a living as a yoga teacher and develop the Sthira Sukham method – a distinctive approach of hatha practice that blends tradition with modern science. I now spend my time sharing this unique approach with students in studios across the Kansas City area as well as in workshops and retreats in various locations and across the web. I, Jennilee Toner, LOVE practicing and teaching yoga. After years as a super tough Deputy Sheriff, Army Medic, Military Policewoman and Drill Sargent candidate, I found myself in 1996 practicing yoga and crying in tree pose. Those first few years I found myself in attics, basements, living rooms, garages, parks, etc. In 2000 I began to practice Bikram Yoga six days a week, both in Key West and in Massachusetts. In 2002 I added Baron Baptiste Power Yoga to the mix. In 2003 I decided I wanted to teach this wonderful form of body, mind and soul connection! In 2008, as I completed my advanced degrees in both mythological studies and transpersonal psychology, I spent time studying Sampoorna Yoga (Sivananda lineage) with Yogi Hari at his ashram in Florida. This living master opened my mind and heart to Bhakti, Jnana, Karma, Nada and Raja Yoga. I have been forever changed. In 2009 I began teaching the anatomy portion of the Frog Lotus International Teacher Training Program. Joining Vidya Jacqueline Heisel and Jennifer Yarro in training some of the best new yoga teachers this world has and will see has such a peak experience in my yoga teaching career. These two strong, beautiful and wise yoginis are AMAZING! I have learned so much from them both. I am deeply grateful to be a part of their dream! In 2011 I created Hot Warrior Yoga, a 50-plus posture sequence practiced in 90-95degrees. Hot Warrior Yoga is the BEST of both HOT HATHA and HOT VINYASA! My team and I are about to begin our seventh 200hr Hot Warrior Yoga Teacher Training and are super excited to present, in the near future, Hot Warrior Yoga as a 27 & 54-hour advanced certification program for both yoga teachers and fitness professionals. In 2011, I started teaching The Perfect Chaturanga workshops. These workshops were a call to action! Inspired by my students and their heartbreaking tales of injuries and frustrations resulting from practicing Vinyasa Yoga, I began to teach how to safely and intelligently practice Vinyasa Flow Yoga. I recently completed The Perfect Chaturanga book with the help of my talented friend, Suzanne Martin. I am so proud of this gem of an anatomy and injury prevention book! It tickles me so to realize that I am still madly in love with practicing and teaching yoga. The journey within is an ever so important one. The science and practice of yoga helps us to know ourselves, each other and the planet. Yoga quiets the dis-ease of the mind and the body â€“ leaving us happy, peaceful and free. I am a firm believer that the world is a better place each time we practice our yoga! Sedona teaches real yoga for real people. She received her 200 hr RYT in the Spring of 2013 through LifePower Yoga. 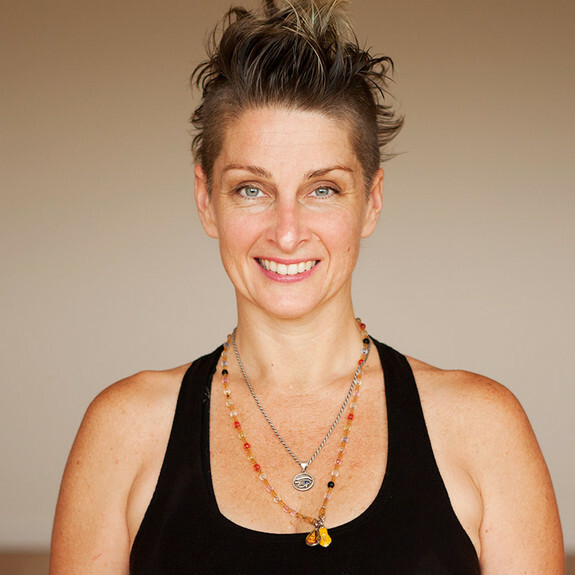 With roots in Ashtanga, Vinyasa Flow and Yin, she leads classes of all types to all levels of practitioners. Her main focus as a teacher is not to instruct, but to guide. Her classes are challenging and engaging on all levels. Known for her creative sequencing that encourages exploration, her classes will help you to lighten up in all areas of life. With a BFA in Design from The University of Kansas, Sedona balances a career in the arts along side yoga. She teaches painting and works both individually and collaboratively on a multitude projects spanning from installations to music videos. Her mission through both art and yoga is to bring people together and to inspire others to become their best selves. She encourages you to come as you are, learn, laugh, explore and evolve.